In today's innovation economy, education often seems stuck in the past-with rigid instructional methods that are designed to impart no more than facts and rote procedures. Human resource departments, corporate universities, and public schools alike are all struggling with how to transform their methods to support creative work. 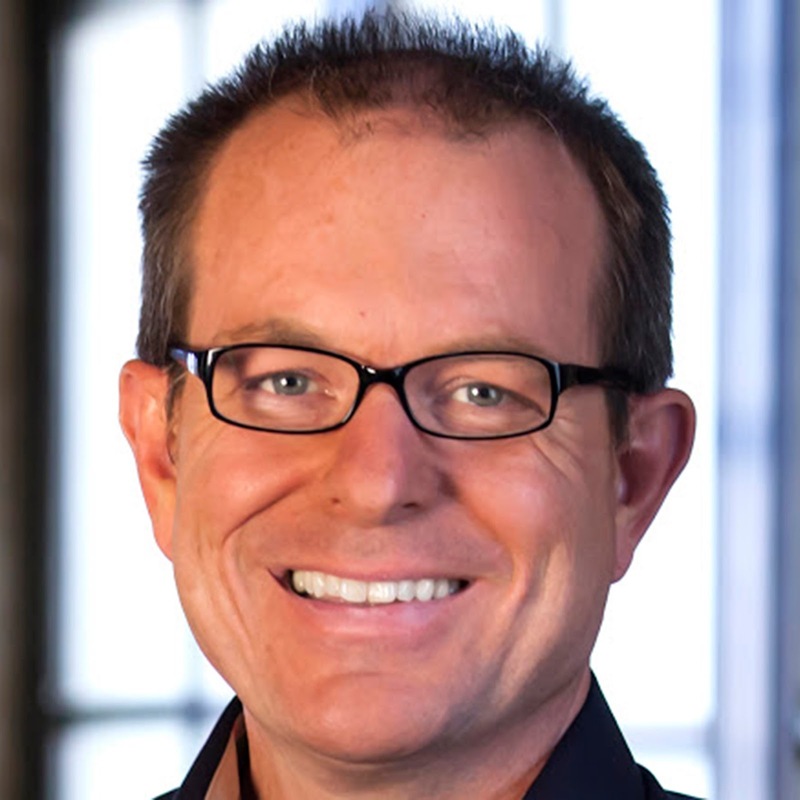 Drawing upon his experiences with San Francisco's legendary Exploratorium, as well as his experiences studying how creativity is taught, Dr. Sawyer describes fascinating new learning environments that will lead audiences to rethink what is possible. An energetic and engaging talk that involves the audience in completely new creativity exercises, based on the latest psychological research. Dr. Sawyer shows audiences how they can become more creative by having more ideas, asking better questions, and identifying good ideas faster. Dr. Sawyer tells fascinating stories about cutting-edge research that reveal exactly what happens in the mind when we're at our most creative, and how to make that "aha!" moment happen regularly.For employees at any level. Dr. Sawyer engages the audience by telling little-known stories about the world's most innovative companies. He combines these stories with his own scientific studies of group genius to reveal the hidden principles that allow these companies to consistently innovate. Sawyer draws on his research to explain why brainstorming so often fails, how to manage teams for maximum creativity, and how to create an organization where group genius thrives. Companies desiring strategic, cultural change throughout the organization will benefit from this message.For senior executives, managers, and employees. In The Jazz Experience, Sawyer shares the stage with a jazz trio. Sawyer has been a jazz pianist since high school, and he has published several books analyzing how jazz ensembles generate surprising and original group creations. Sawyer introduces each of the trio's songs, describing the special balance of planning and improvisation that results in effective creativity and collaboration. Following each song, Sawyer poses provocative questions for the musicians, drawing out their unconscious inspiration and their conscious goals and thoughts. He ends by leading the audience in a Q&A session with the musicians. Sawyer has delivered The Jazz Experience with a wide range of jazz trios; a local trio is usually identified that works and performs near the client site. For the adventurous client, Sawyer has created several activities that bring together the audience and the musicians in a group improvisation. Dr. R. Keith Sawyer, Morgan Distinguished Professor of Educational Innovation at UNC: Chapel Hill, is one of the world’s leading scientific experts on creativity, collaboration, and learning. 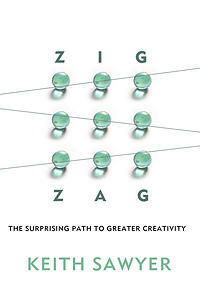 His latest book is Zig Zag: The Surprising Path to Greater Creativity. 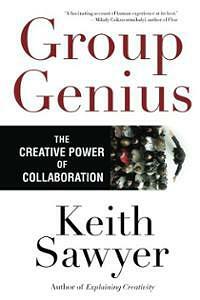 Keith’s previous book Group Genius (Basic Books), written for a broad audience, draws on his research on jazz and improv theater to show the reader how to be more creative in collaborative group settings and how to change organizations for the better. His other books on this topic include Explaining Creativity and Creating Conversations. Dr. Sawyer combines his scientific expertise with a strong hands-on background in real-world creativity. After receiving his computer science degree from MIT in 1982, he began his career with a two-year stint designing videogames for Atari. His titles included Food Fight, Neon, and Magician. From 1984 to 1990, he was a principal at Kenan Systems Corporation, where he worked as a management consultant on innovative technologies. His clients included Citicorp, AT&T, and U.S. West. Since receiving his Ph.D. in 1994, he has dedicated his career to research on collaboration and group creativity. He has been a jazz pianist for over 20 years, and spent several years playing piano with Chicago improv theater groups. During his recent sabbatical, Dr. Sawyer was an Osher Fellow at the San Francisco Exploratorium, a legendary science center that's downtown in the former Palace of Fine Arts, where he worked with them on collaboration, exhibit design, architecture, and organizational culture. Next, Dr. Sawyer was a Visiting Scholar at the University of Cambridge in the Faculty of Education offices where he studied how they incorporated teaching creativity in their public schools. Lastly, Dr. Sawyer was a Visiting Professor at the Savannah College of Art & Design, where he worked with them on a major strategic plan that emphasizes collaborative creativity across departments and schools. Dr. Sawyer is frequently interviewed on television (CNN, CNBC, Fox News) and radio. He has been quoted in numerous magazine and newspaper articles, including TIME, The New York Times, U. S. News and World Report, and many others.